[May 11, 2017] (Reuters) - ESPN sportscaster Chris Berman's wife of 34 years was killed in a car crash in the couple's home state of Connecticut, authorities said on Wednesday. Katherine Berman was driving on Tuesday when her car struck a sport utility vehicle in Woodbury, causing her car to roll down an embankment and overturn, according to an accident report from Connecticut State Police. She and the occupant of the other car, an 87-year-old man, both were killed, officials said. The cause of the collision was under investigation. 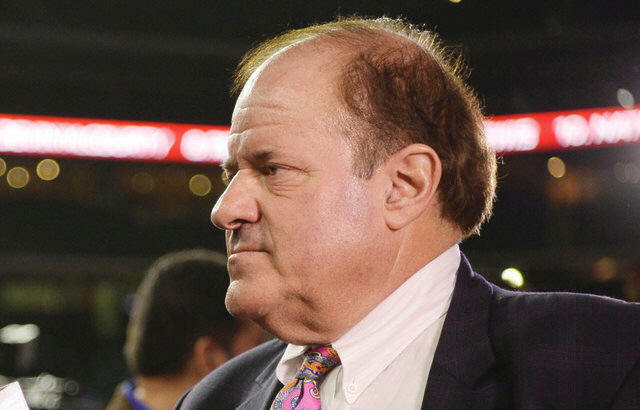 Katherine Berman's death came one day before Chris Berman's 62nd birthday on Wednesday. Berman has long been one of the biggest stars on ESPN, which is owned by the Walt Disney Co and is one of the most watched networks on cable television. "This is a devastating tragedy and difficult to comprehend," ESPN President John Skipper said in a statement on Katherine's death. "Chris is beloved by all his ESPN colleagues and for good reason: He has a huge heart and has given so much to so many over the years." Berman, nicknamed "Boomer," for years anchored "SportsCenter," the network's flagship show, and hosted its "Sunday NFL Countdown" program. He has won the National Sportscaster of the Year award six times. Berman, who joined ESPN in 1979, announced in a January interview with Sports Business Daily that he was reducing his role at ESPN in a new contract with the network. Berman met Katherine, who was then a grade-school teacher, on a roadway by pretending to have car trouble and asking her out when she stopped to check on him, according to a 1993 article in People magazine. The couple married in 1983 and had two children, Meredith and Douglas.